I'm a sucker for all things black + white. So naturally, when I spotted this b+w topshop number I had to have it. I paired the dress with some b+w printed wedges to add a bit more interest (+ some height) for a night out on the town. 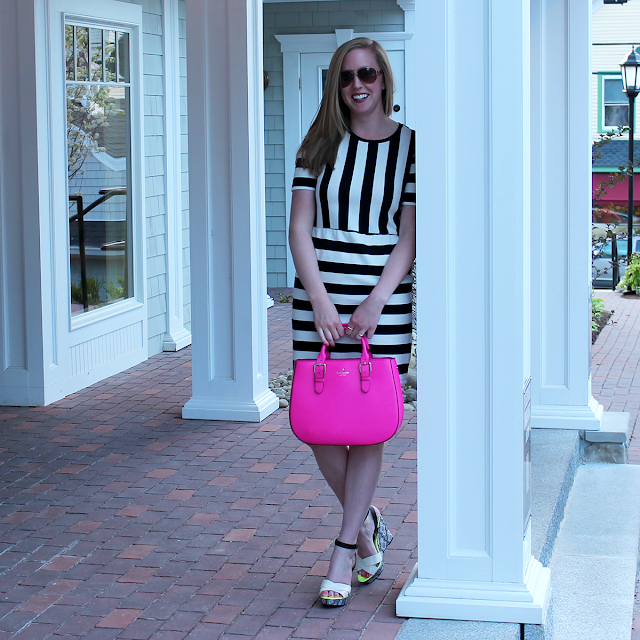 Who doesn't love b+w with a pop of pink? Check out a similar b+w dresses I've been eyeing here + here. Have a great week.